Read through it and see if you can apply some of the techniques used in this speech to your own presentation. I stumbled out of the building, coughing and wheezing, smoke filling my eyes and lungs. I tugged frantically at my tie to loosen my collar, my head pounding as I ran out the door. No, I was simply eating my dinner when a gentleman at the table next to us decided to light up a cigarette. The smoke went right into my face and lungs. All of a sudden I couldn't breathe, my chest hurt and I panicked. Ladies and gentlemen, by the end of this year more people will die from second hand smoke related deaths than the average crowd at a Major League Baseball game. Secondhand, or passive smoke, is an insidious killer that is harming adults, and more critically, children around the country every day. My goal in speaking to you today is to enlist your support in a federal ban of all smoking from all public places without hesitation. But isn't this America? Shouldn't I have the right to smoke? If I want to pollute my lungs and ruin my health, why should that be any concern of yours? The facts are that secondhand smoke is responsible for many of the same diseases as if the sufferers had smoked the cigarettes themselves. These diseases include cardiovascular diseases, lung cancer, and respiratory diseases. For example, the International Agency on Research on Cancer found that “involuntary smoking is carcinogenic to humans." Various studies in the United States, Australia, and the United Kingdom point to a significant increase in risk of lung cancer among those exposed to passive smoke. The California Environmental Protection Agency found that passive smoking increases the risk of breast cancer in young women by 70%. In a separate paper, the US Surgeon General found that there was evidence that suggested that there was a causal relationship between smoking and breast cancer. 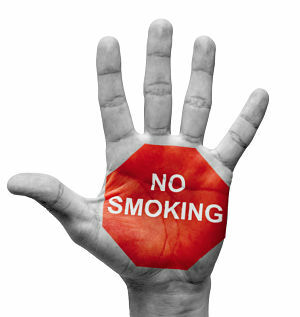 Secondhand smoke is even associated with the loss of hearing in non-smoking adults. Studies have shown that both active and passive cigarette smoking increases the risk of their atherosclerosis. Also, exposure to secondhand smoke increases the risk of cognitive impairment and dementia in adults 50 and over. Putting children at risk is unforgivable at best and probably criminal. In a 2006 report, the US Surgeon General found that the evidence is sufficient to infer a relationship between secondhand smoke and sudden infant death syndrome. And - horrifyingly - the risk of developing brain tumors is higher among children exposed to passive smoking, even if the mother does not smoke. The California Environmental Protection Agency found that the risk of childhood cancer (and adult lung cancer) increases after childhood exposure to passive smoking. Sadly I could go on, and on, and on. And on! Secondhand smoke in the home is one problem. But to go to a public restaurant, or concert, or any event and to experience secondhand smoke is impacting the health of our population and increasing healthcare costs. Without doubt, it should be banned by federal mandate in the next session. While you have the option of whether to smoke or not, I DON'T have the option of not breathing. Were you persuaded? 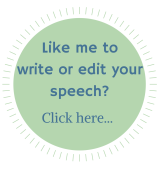 In this persuasive speech example you get some facts and statistics which are usually found in informative speeches. However, when delivered in a slightly exaggerated way with hand gestures, these statistics can be incredibly persuasive.